Sega has always had the heart of an arcade company and with the modern update of OutRun, a seminal cabinet classic, Sega has tried to capture the feeling of days gone by. 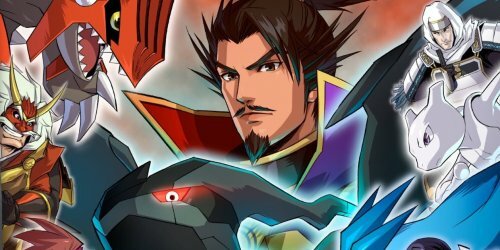 Does the game actually deliver anything other than people waxing nostalgic? OutRun 2 sticks to its arcade roots by having an arcade mode and adds something for the home crowd with a challenge mode as well as an Xbox live mode. 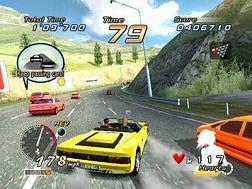 The arcade mode boasts the traditional OutRun race, where your enemy is the clock. However the major addition to the arcade version is the heart attack mode where the object of the race is to win the affection of the girl in your car. You gain her affection through accomplishing different driving challenges that are yelled out as you go along the track. Those feats range from passing cars, staying in different colored segments of the track, avoiding collisions, or drifting through turns. The challenge mode is made up of time trial, challenge, and party mode. The first one is self explanatory and the third one is simply a hot seat game of racing through 5 different courses with different challenges presented on each course. The real star of this mode are the course challenges. Starting with the opening course you are tasked to complete 5 pre-set requirements from a list of 18 possible options. Each of the 15 course has a set of challenges and each completed task unlocks either a character card, a card detailing some Ferrari company swag, different information cards on cars, cars, music, or new courses. 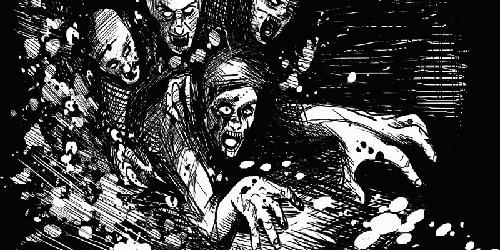 The Xbox Live component adds the ability to race other people online or compete against ghosts in time trials. This adds to the lifespan of OutRun 2 along with the party mode. Sega AM2 did not go overboard with the amount of added features for the home version but did not just shove a quick port of the arcade game either, giving OutRun 2 enough game play modes to be interesting but not losing focus on the main idea behind the game. The job that Sumo Interactive did with the precious OutRun 2 Xbox conversion is commendable and is an example of how to treat a license. AM2 and Sumo Interactive has done a very good job with the graphics for not only the virtual interpretation of the Ferrari cars that were chosen to be in OutRun. The backdrops on which the race is run are picturesque – with crowd details, city effects, and weather used without distracting from the focus of the game. The character models that appear in the end of the game cinema and in the car are good and better than what some people may expect. The driver looks sufficiently Euro-Trash and the gal accompanying him looks either demure (arcade), feisty (heart attack), or butch (challenge). A normal play may not take the time to look at the surroundings of games like OutRun, but if they pause and take them in they will see that the developer took time to make the courses look neat and compelling. From desolated industrial sectors to strange alpine balloon rally zones the backdrops for OutRun do not disappoint. As a racing game OutRun 2 has all the needed sounds: engine revving, engine straining, colliding with objects, and scraping against walls. There is also the voice of your woman passenger yelling out commands during different modes of play. The classic get ready voice from the original OutRun returns as well in a very pleasant surprise. Updated versions of the original OutRun tunes are also present, along with a few more songs and remixes that are unlocked through defeating certain challenge courses. The 1986 versions of some songs are present in the game as well for those who wish to take the retro feeling further after you have managed to unlock them. The songs are a mixed bag and chances are the average player will just pick a random song and fail to notice the song playing in the background. Personally I think ‘Night Flight’ is probably the best song of the bunch but I wish that AM2 utilized the Xbox’s custom soundtrack feature. Overall the songs and sounds work to create a mood and do not overshadow the game play and in some cases enhance the experience, though nothing too memorable is presented here. 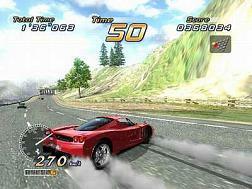 The 2 trigger buttons on the Xbox provide acceleration and braking and the analogue stick controls the car’s movement. The controls are tight and well honed, so well honed in fact that the difference in player experience can be seen in 1 or 2 runs. A slight difference in positioning in a turn can mean a few hundredths of a second off a race time that can add up to less clock pressure on the player. The very fact that such small differences can mean reaching a check point or failing a race show that the controls are spot on and that it is a player’s skill that determines how they do in a game and nothing more than that skill. At the heart of the arcade mode is the race to get to 1 of 5 different destinations. The time added back to the clock lessens the farther you go in the race but the courses get a bit shorter. This creates a tension when a player has raced poorly in the opening two stages, losing precious time from their clock that down the road they are in serious trouble for not having a precious second to fall back on. Again the balance comes from the player’s innate ability and skill. The time varies based on how well you do, a bit rough on those not as skilled at the game at first but it helps a player to learn how to improve their skill set through racing again and again. The overall brevity of the courses also makes improving less of a time sink. Dictating your course difficulty remains as the player can choose more difficult courses or courses that are easier on the left thumb. This dynamic gives the player a chance to test themselves against harder race courses but also to hone their skills on more forgiving tracks. The heart attack mode adds different requirements to fulfill in order to impress the woman who is your passenger on your Cannonball Run style race to the finish line (Dom Delluise not included). These challenges are in addition to the normal time constraint placed on the player for the stage, which would seemingly create a dichotomy between collecting affection and racing, however that is not the case. The challenges are placed in each stage so they are much like a natural extension of a race. Instead of just staying straight and bisecting a turn you are asked to drift through the turn or pass cars instead of hanging back and wasting your precious time. 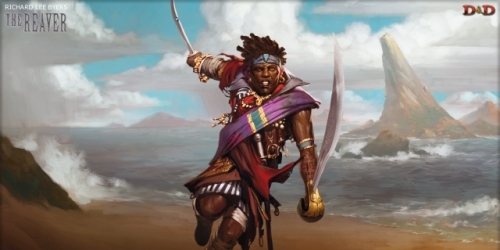 When a challenge arises that requires a bit more involvement, the game has some adjustments. For the heart collector mode, where you collect hearts on the track and deposit them in colored areas, the track is bereft of other cars while during the laser breaker challenge, where you must drive between cars to collect hearts, there is plenty of traffic to weave through in order to make your quota. The challenges are sometimes hard to accomplish at first but it does not take too long before you are drifting and breaking hearts with the best of them or at least the competent of them. AM2 took care not to make the game too easy or too difficult, finding the median all good arcade games, and games in general, strive for. The ability to unlock different cars, character (puzzle) cards, bits of Ferrari history, and different tracks along with having the means to be played as a party game against up to 6 other people really adds to the fun. 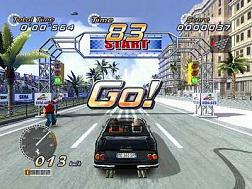 The different endings for OutRun mode and Heart Attack mode also challenges players to complete each of the 5 race paths in order to see the short, but humorous ending shorts. OutRun 2 allows a person to play the game over and over again in short bursts without feeling burdened to sit at the console for an extended period of time and still be fresh thanks to its timeless game play mechanics. 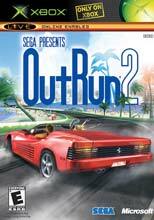 Unfortunately the name OutRun does not carry as much weight with game players as it did during the middle 1980s or even the early 1990s. 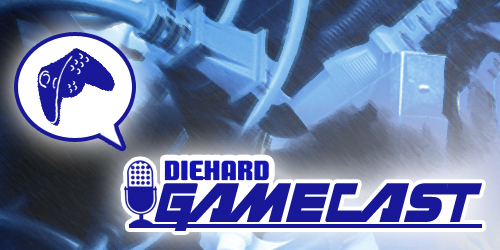 Some may find the existence of this game a slap in the face, another company digging up a game franchise to cash in on the retro chic fad of contemporary times. Another dagger into the gullet of OutRun is its arcade roots. Most of the gaming public these days are obsessed with the amount of time sunk into a game and OutRun cannot deliver hour after hour of racing continuously, but it can deliver solid gaming and fun. These factors alone give OutRun a big hill to climb in order to appeal to anyone. The game keeps the tried and true formula presented in the Yu Suzuki classic and updates the visuals while adding new twists that are well thought out and implemented in a seamless manner into the core game experience. Fans of original game owe it to themselves to at least rent this game and fans of racing games who can look past the games lack of a car building mode or other customization beyond the color of the car may find that racing video games can be good clean fun. OutRun 2 is a return to a more innocent age of gaming with a spruced up exterior, no nonsense work ethic, and a refined soul. You race against a time limit, nothing new under the sun at first blush, however the Heart Attack mode adds some much needed depth and a twist on a tried and true gaming cliche that has not really been seen before. The different challenges are just twists on old themes (collect an item, beat a time, pass cars) but a few like taking pictures while trying to do hard drifts in tight corners to trying to do math while driving are fun changes of pace. AM2 wisely does not try to re-invent the wheel but do add some chrome spinners to make that wheel look more fly to impress the girls. While Sumo Interactive does not try to overwhelm the player with too many frills that take away from the spirit of OutRun. 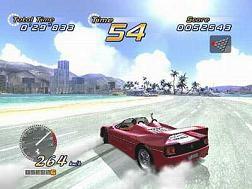 OutRun 2’s roots are in the arcade racing genre, a genre predicated on getting gamers to spend ‘just one more quarter’ trying to surpass their score or complete the entire course. This game play is present and accounted for in OutRun 2. From the countdown noise as you race towards a check point to the quest to unlock every single chase card and bonus. The Ferrari license is put to great use in OutRun 2. From the different cars at your disposal (including the fan favorite Testarossa) to all the little bits of trivia provided by the unlocked Ferrari cards show that Sumo Interactive put thought into just how to make the most of their official license agreement with Ferrari. For some reason it was decided to give each character a name in the game and that fact did make this reviewer chuckle. There is also a password feature that allows you to input different passwords to unlock even more secrets. An intriguing, if not superfluous even for an extra. Still, it gives the gamer even more little odds and ends to tinker around with during their time with Outrun 2. An oversight on the part of this reviewer led to the omission of Sumo Interactive but their work on creating the Xbox version of OutRun 2 was spectacular and apologies are in order. Diehard GameFAN Presents: One More Halloween Shirt.